On Dec. 20, the U.S. Treasury Department announced that it expands the sanctions against Russia in connection with events in Ukraine. The Kremlin regrets that Washington continues its destructive policy against Russia, presidential spokesman Dmitry Peskov said on Dec. 21, stressing that Moscow will take adequate measures in response to the latest expansion of sanctions. "We regret that Washington continues this destructive line. We still disagree with this line and we believe that it very seriously harms our bilateral relations. Certainly, as this has been already in practice, the Russian side will take adequate measures," Peskov told reporters. "We can only once again express regret and misunderstanding over this destructive persistence of our U.S. colleagues," Peskov said commenting on the U.S. decision. On Dec. 20, the U.S. Treasury Department announced that it expands the sanctions against Russia in connection with events in Ukraine. It designated seven more individuals and eight entities related to Russia and Ukraine, and identified two vessels as blocked property in order "to maintain the effectiveness of existing sanctions." In 2014, the United States and the European Union imposed sanctions on Russia over the Ukrainian crisis and Crimea’s reunification with Russia. 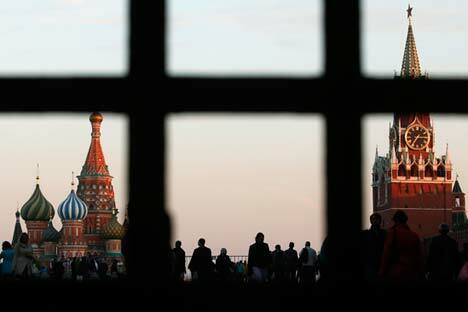 Some of the Russian officials were barred from entering EU countries and the U.S.; in addition to that their assets were frozen. Likewise, trade, financial and military restrictions were also introduced. These sanctions have been repeatedly extended and expanded.